I have so many blogs to catch you all up on, but today needed some good happy vibes…so here is one of the latest Roc Solid Renovations to bring a smile to your face! 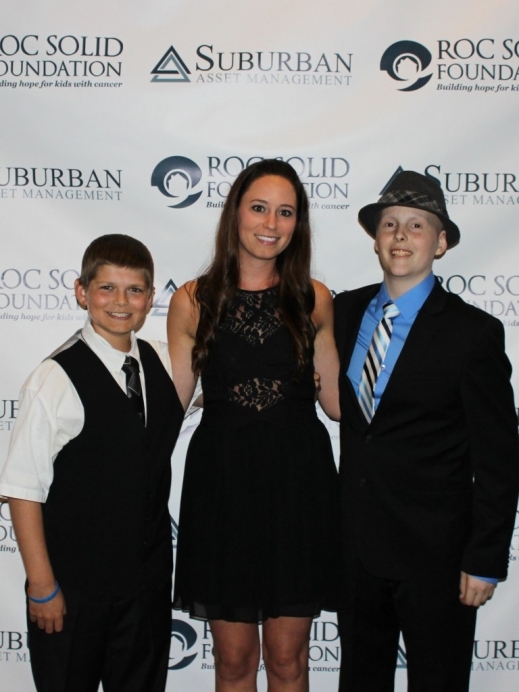 May was a pretty hectic month for SBD and the Roc Solid Foundation…hence the lack of blog posts!! We kicked it off with Connor’s room renovation and then went straight into the Night for the Fight and immediately after had Marshall’s room renovation. Here’s a picture of me with Connor and Marshall at the Night for the Fight. Love these kids!! Connor had a huge bunk bed in his room before and his one wish was to get that thing out and get him a bigger bed. He told me he loved sports, but the main thing was the bed. We painted the room, changed the light fixture, added window treatments, built a custom headboard and shelving unit, and purchased new furniture and accessories. A lot of the sports equipment in the room was donated from friends…each piece has a story behind it, including the bat that was broken during a major league game! While we had a team working inside the room, we also had a team working on the landscaping in the front yard. We worked all Friday afternoon and Saturday morning while the boys and the family were out riding around town in a limo. 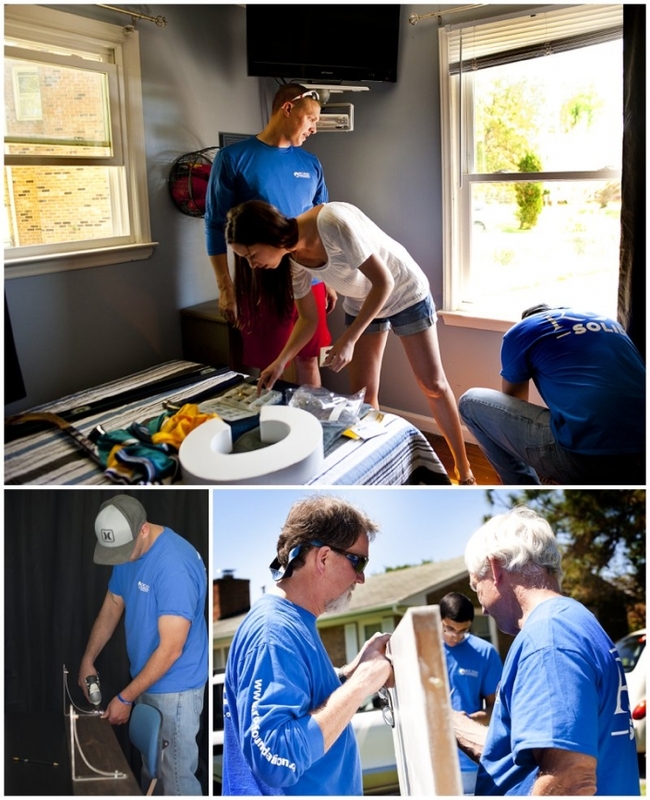 When they finally returned around 1:00, we were ready for the reveal…the outside of his bedroom door showcased well-wishes from all the volunteers before he got into the room. It’s emotionally overwhelming every time, but so fun to see his reaction and see him experience the space for the first time! The reveal is the most nerve wracking part because not only does Connor see the room, 20 other people crowd in to see it as well!! Here is a look into his room! Huge thank you to Milesstones Photography for capturing these awesome pictures!! And finally a picture of the boys in their new hang-out spot! !